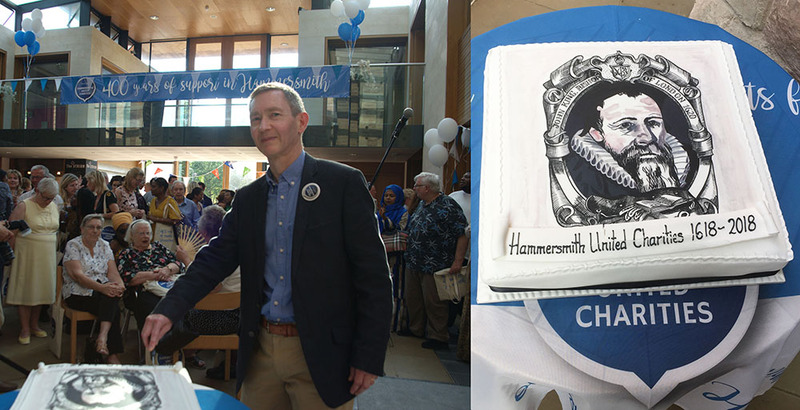 Hammersmith Reflections – Four hundred years of support, and counting! This month we continued our celebrations of the charity’s 400year anniversary with a Grand Party at St. Paul’s. 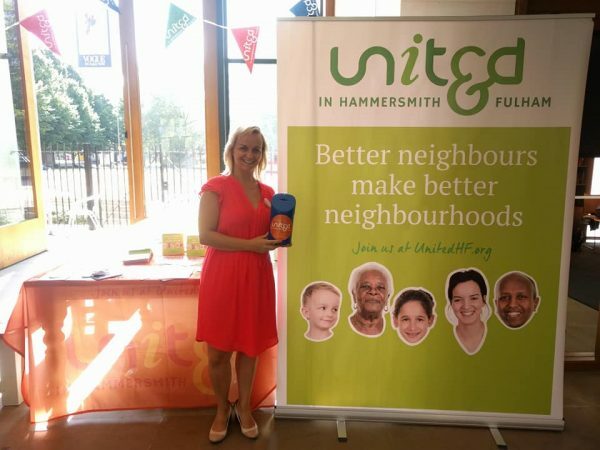 We also launched UNITED in Hammersmith & Fulham with our sister charity Dr Edwards and Bishop King’s. The theme of our celebration year is bringing people together, and our guests included representatives of many of the local groups and charities that we fund or partner with, as well as residents of our sheltered accommodation. Some great new connections were made. Naturally I’ve been reflecting on our long history – what’s changed, what’s stayed the same, what it all means and what the future might hold. The material and technological progress that has been made since 1618 would astonish our founders. Life expectancy has soared, and for the vast majority of us those lives have a comfort and a richness of experience that even the wealthiest people of the seventeenth century could not imagine. We take it for granted that we have a plentiful supply of drinkable water; that we won’t die of plague, smallpox or cholera; that we can communicate instantly with friends and family in other places; that we can travel quickly and easily not just across London but to other continents. So when so much has changed, why is a charity that was founded to provide accommodation and food for the poorest people of four centuries ago still relevant today? For me the answer is that something that has not changed (and I hope never will) is the human desire to improve our lives – and to share the best things in life with others. I am sure our founders would have understood our ambition not to provide the bare minimum for our residents but to give them the best quality accommodation that we can. That means that we need a continuous programme of refurbishment and updating of our buildings. And our founders would have understood why we strive not just to cater for people’s material needs, but to offer opportunities for people to enjoy experiences that bring happiness and fulfilment. That’s why some of our grants fund activities like dance, art classes and sports, both for older residents of Hammersmith and for some of the youngest. As an accountant, business plans and budgets have played a big part in my professional life. But in the context of a 400 year old organisation how far ahead should we plan? 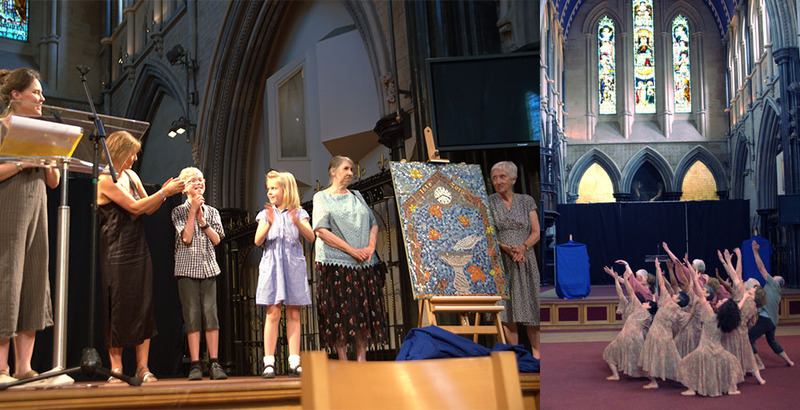 At our celebration event, the oldest guests were in their nineties, the youngest still at primary school. By the time those children reach their nineties (round about the year 2100!) changes will have happened in politics, technology, society and the economy that I can’t begin to guess at. There will be many changes in the charity too, not least in successive generations of trustees and staff. It would be futile to try to plan in detail for that period, but since our ambition is to be there for those children (and their children and grandchildren) when they need us, we must try both to address today’s immediate needs and to leave our successors a strong and confident organisation. In planning our 400th anniversary year we were determined that, as well as celebrating the Hammersmith community of today, we must create something for the future. That will partly spring from the connections that we hope we’re making with and between local people. But we also hope that we’ll be able to see 2018 as being a milestone in our history for the launch of UNITED in Hammersmith & Fulham. UNITED’s long–term success will depend on the hard work of many people, some not yet born, but if the past 400 years are any guide to the future then we will have plenty to celebrate at our 500th anniversary in 2118.